Proposal by Australian Muslim group to allow 'safe spaces' for young Muslims to discuss 'inflammatory' issues causes some to think. 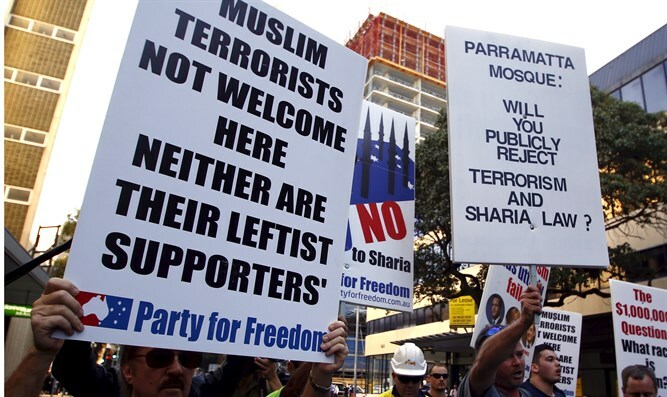 A Muslim group in Australia is demanding taxpayer funds be diverted from anti-terrorism programs to create a “safe space” for angry young Muslims to express “inflammatory” comments that they otherwise wouldn’t be allowed to say in public. The Islamic Council of Victoria (ICV) said such forums enabled young people's opinions to be "respectfully and intelligently debated and challenged", and wants money for federal counter-terrorism and anti-extremism programs be diverted, “to create refuges where 'emotionally overloaded' youths can voice inflammatory comments,” reports Yahoo7 News. The safe space is needed because if such remarks were made publicly, they would be seen as “inflammatory,” according to the proposal. But State Premier Daniel Andrews said he was "very troubled" by the idea of a space where people "could be radical". The ICV, which says it represents some 200,000 Muslims in Victoria, says the community is suffering mental health and other problems because of the widespread suspicion it faces. According to the BBC, it recommends funding a number of community-led initiatives - complaining that financial resources at the moment are concentrated mainly on national efforts to counter violent extremism. ICV spokesman Adel Salman said they did not consider the "safe space" proposal controversial, because it is a practice that is already used to help young people in countries around the world. "This is about good practice because the youth require an avenue to express their views in a safe environment... where they feel their views are valued, where they can be respectfully challenged and counter views presented," he said. He said such spaces would be "conducted with experts who are familiar with the methodology, and understand the way the conversation can be guided". Salman criticised headlines which called the proposal "rage space" and "hate space", saying the media had misconstrued what they were asking for. But Premier Andrews ruled out any possibility of funding such an initiative. "I am very troubled by the suggestion that we might have a space where people could be radical as part of a de-radicalisation programme. That makes no sense to me whatsoever". Radio host Tom Elliot said the program was “quite possibly the dumbest idea” he had "ever heard". “What they are effectively saying is they want a tax-payer funded place where they can say things that otherwise they wouldn’t be allowed to say,” Elliot told Sunrise. Others said the “safe spaces” could be turned into jihadist recruitment centers. “They would be a hot bed of passing ideas and information along,” said Mal Lees. One Nation leader Pauline Hanson decried the idea as “a load of rubbish”. “How much more money have we got to put into this to make them feel good about themselves?” she asked. Hanson is calling for a ban on Muslim immigration from certain countries linked to terrorism, pointing out that Australia is still in a position to save itself given their Muslim population is around 2.4%, significantly less than many European countries. The Muslim group said their proposal was justified because of the “Islamophobia” they are subjected to. Presumably, they believe that anyone who pushes back against angry Muslims calling for jihad is being ‘Islamophobic’. Infowars calls this "yet another example of how Muslim leaders are trying to entrench themselves in a grievance narrative, when in reality they should be working solely on routing out the extremists in their midst, not encouraging them." Earlier this week, Victoria was rocked by a terror attack when gunman Yacqub Khayre took a woman hostage at an apartment building before killing another man and wounding three police officers. ISIS subsequently claimed responsibility for the siege. He was later shot dead by police. The BBC reports that Australia has prevented a number of attacks in recent years, and has been on alert amid fears over the return of Australians fighting for Islamist militant groups in Syria.